In the primary grades, the classroom environment encourages cooperation and active student involvement. In Language Arts, the processes of listening, speaking, reading and writing are taught in directed lessons with large and small group instruction, and application in all content areas. Instructional strategies include, direct instruction through modeling, guided practice, and independent application. Reading Skills are introduced and developed through a combination of methods including, phonics, whole-language, and an extensive sight-word vocabulary. Phonics instruction in kindergarten introduces beginning and ending consonants and short vowel sounds, syllabification and word-families. Vowel variants, long vowels, diphthongs and sound patterns introduced in first grade are developed and mastered in second grade. A focus on instructional as well as story vocabulary, improves student performance in language and comprehension. Vocabulary instruction is through modeling and guided practice, through visual cues in a print-rich environment and through integration with other content areas. Grammar moves from nouns and verbs and identifying types of sentences in kindergarten, through pronouns, subject/predicate and plural nouns to combining sentences, inflectional endings, irregular verbs and possessive nouns by second grade. Quality literature is used to develop higher level thinking skills, such as, making predictions, drawing conclusions, cause and effect and using context clues. The Primary Level Math Skills, adding and subtracting, math facts, money, time, measurement, graphing, and problem solving are all introduced in kindergarten. The students, through discovery and inquiry gain initial awareness of new concepts. These concepts are developed and expanded in first and second grade with emphasis on problem-solving strategies, math journaling and mastery of basic math facts. Math skills and processes are taught using hands-on lessons with age appropriate manipulatives and materials. Science and Social Studies units serve as integration topics for thematic planning. In the primary grades, Social Studies units move the students from the study of self, to school, to family, to community, and then to our nation. Skills are developed using graphs, maps, flow-charts, time-lines and through a variety of community service projects. St. Mary’s comprehensive Science Curriculum treats learning as not only a product, the collection of facts, but as a creative process. Hands-on activities are designed to bring science to life. Projects and labs in all primary grades increase student critical thinking and problem-solving skills. The Science units introduced in kindergarten include; Nutrition, Plants and Animals, Dinosaurs, Solar System, Weather and Seasons. First grade Science lessons develop these topics and add the study of Sound, Motion and Matter. By second grade, students have a concrete understanding of these areas and also explore Energy, Machines and Magnets. 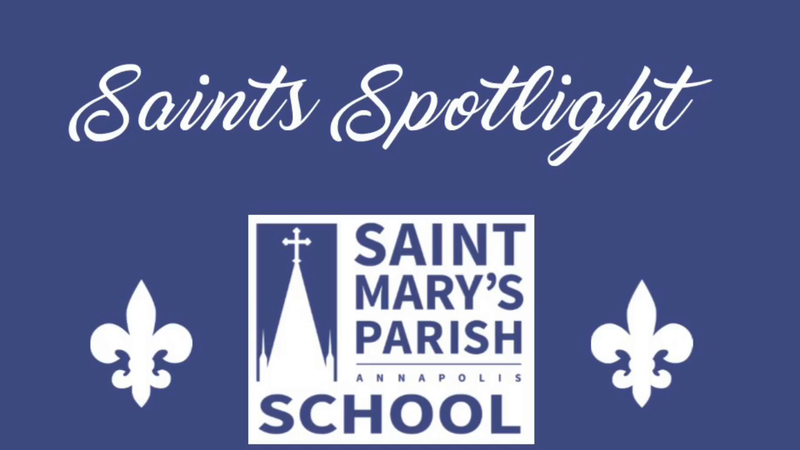 The Science Curriculum also incorporates the school’s close proximity to the Chesapeake Bay. Primary grade students develop an understanding and appreciation for the Bay and surrounding wetlands. 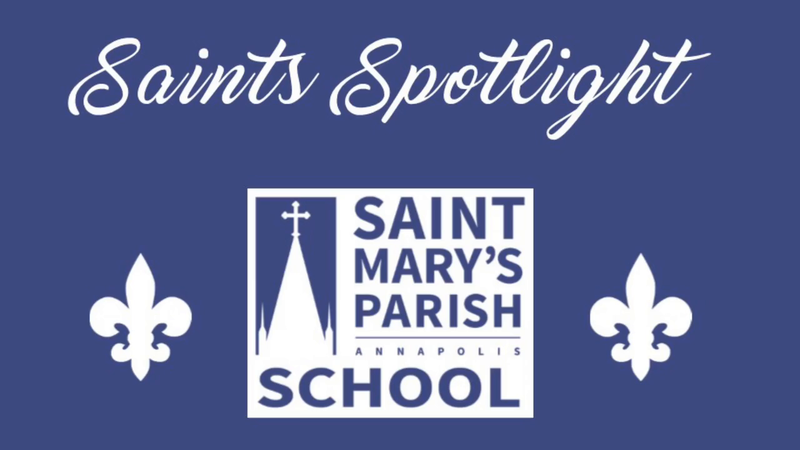 The school-wide study of the Chesapeake Bay stimulates critical and creative thinking and the ability to make informed, responsible decisions concerning the environment. The content of the Religion Curriculum is faithful to the teachings of the Catholic Church and embraces the four pillars of our Faith; Creed, Liturgy and Sacraments, Moral Life, and Prayer. In the Primary grades, students learn to praise and thank God and develop understanding and knowledge of their own self-worth. The students discover the meanings of liturgical celebrations and the sacraments, especially Baptism, Reconciliation and Eucharist. In addition, the students participate in service projects, prayer-services and Mass. Activities and reflections involve the children and their families in catechesis, prayer and living their faith. The Primary level curriculum is further enhanced by an attractive, busy media center and by media specialists who assist teachers with research projects and in integrating thematic units into the various content areas. Technology also plays a major role in enhancing and expanding the curriculum. In addition to weekly STEM classes, technology is used by all grade levels, for research, projects and assessment. The availability of iPads, Smartboards and other technologies in every classroom ensures that students and teachers can readily access technology and make it part of curriculum planning. The Primary Art Curriculum provides activities for thematic integration, and awareness of color, texture, shape, pattern, multi-media and multi-cultural influences. The Music Curriculum explores vocal music and movement in grades K-5 and further opportunities for students to experience music are offered through our Band Program for students in grades K-8. A Foreign Language Program gives students the opportunity to learn, not only simple phrases and songs, but to develop an awareness of other cultures. These reports will be mailed at the midpoint of each trimester to all students in grades K, 1 and 2. Students in grades 3-8 will receive a progress report in the event of academic concern in a particular subject area.